Blogger Shame Review Challenge is hosted by Herding Cats & Burning Soup and Addicted to Happily Ever After. Read the details of the Challenge by clicking HERE or clicking on the image above this blog post. 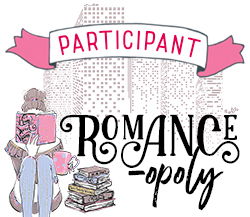 I’m so glad these two bloggers created this challenge because I have definitely forgotten about quite a few review copies. I’m going to blame it on starting my full-time job the end of 2014 and going to my local library that has a lot of books I’ve been meaning to read since 2012. I don’t get to read as much as I want to and when I can it’s usually another book that catches my eye. Right now I’m on a YA Fantasy kick thanks to my local library introducing me to new authors. I plan on trying to read/review 15-20 of my past ARC books I need to catch up on. They’re in my bookcase waiting to be read. I’ve also created a Goodreads shelf to keep up with the books I’ve read for this challenge.